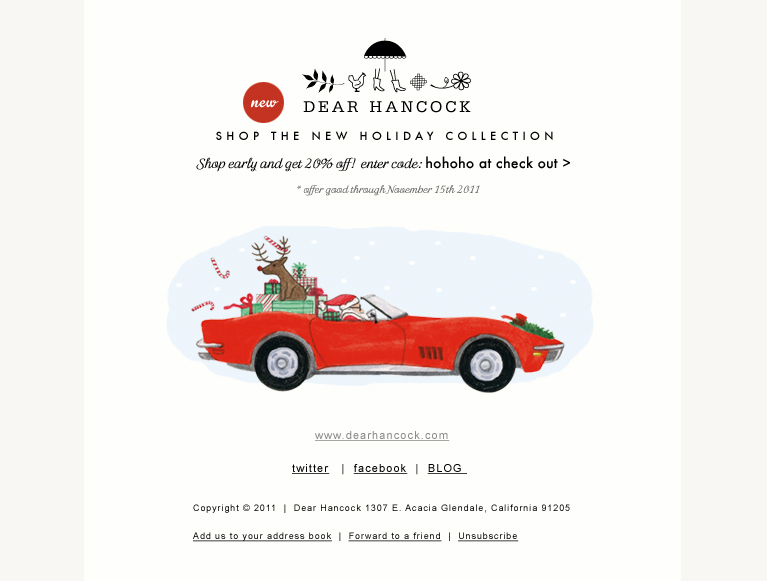 We just added new Holiday Goods to the Dear Hancock shop! Please enjoy 20% off by entering code: hohoho at check out. To receive news and special offers please sign up for our Newsletter! Sign-up is located on the right hand side of this blog. We also added more buying options so you can now purchase sets of six of the cards and single flat notes. Happy Shopping!